FYI, Groupon is having an online 60% off deal for Rugs USA. As you may know, Rugs USA has lots of cool rugs but is also home of the $100 leather Moroccan pouf, the Beni Ourain knockoff rug (the Tuscan Moroccan Shag), the $140 ghost chair, ikat pillows and lots of other delicious stuff. The deal is 60% off certain increments of spending. ($55 for $120, $75 for $170, $95 for $235). So, if I'm understanding it right, a $295 Beni-ish rug could be had for $135. And two leather poufs could be yours for $105. 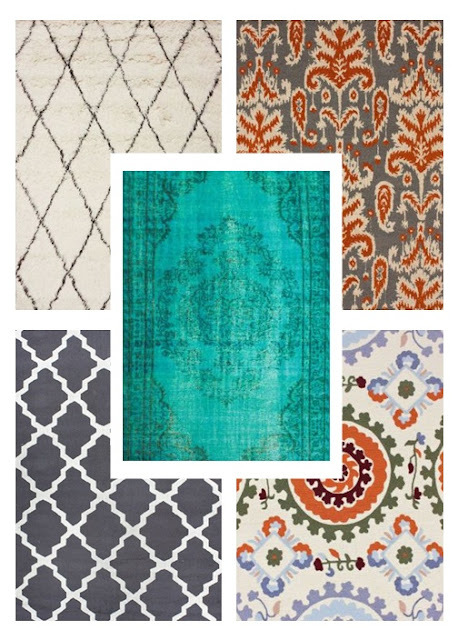 They've also got chevron in many colors, flokati, overdye and ikat rugs. To find the deal, go to Groupon and click the new Deals for the Home link on the right. What would you consider getting? 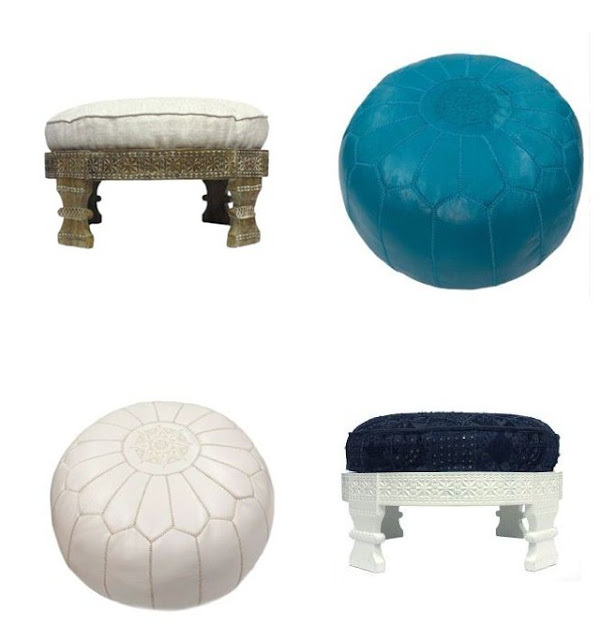 Personally, I'm mulling over these little chakki ottomans and, of course, the poufs. The deal is good for the next four days. Disclosure: This is not a sponsored post. Just genuine excitement. However, I get a few Groupon bucks if you buy something after following my referral link.